Medici Architects, Inc. was founded in 1989 by principal Emily Dovey Buchwalter, AIA. As a full service architecture and planning design studio, we offer architectural design, speculative house design, feasibility due diligence & site planning, interior design, tenant improvement design for retail, medical and franchisees, tenant improvement site surveys, building permit submittals, and construction administration design services. Our residential design work reflects the diversity of our clients. 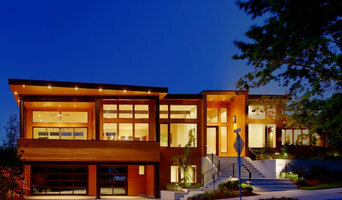 We have worked in architectural styles from traditional, northwest to modern and sometimes a cross of multiple styles. We are independent of a prescribed style, and this allows us to achieve uniqueness in our designs for each project. We work hard to understand our client’s aspirations, characteristics of the building site, and project budget. With our broad architectural skills and experience, we are able to tailor the scope of our services to each client’s needs to achieve clever designs, characteristic of our work. Medici Architects, Inc. is able to listen and incorporate owner involvement from the beginning of a project through the completion. We want to make sure all are working together in harmony, so that the final building is functional and a place of joy and inspiration. Design Ark Inc offers architectural and interior design services. We create spaces and places with the quality and beauty that will last. Excellent design can be simple, clear and affordable. Elements of form, power of color, diversity of texture, integrity of materials, patterns of light and shadow can be used in such a way that ordinary can be transformed into extraordinary. Every project presents a prospect for innovation and an opportunity to show how much we care about our clients, our communities and the natural environment. We offer the knowledge of a big company combined with the personal service, efficiency and cost effectiveness of a small firm. Well designed spaces will not only inspire and improve your life style but also increase the value of your investment. Your projects are too important to start without a clear plan. We can help. 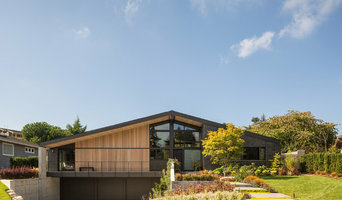 How do I find the best Kirkland architect for my home design project? It is best to hire a home architect who will be involved in all phases of the design process, from the initial concept to the completed construction. The architect is often the first person you will hire for your project. If necessary, they might also help you select and hire Washington subcontractors, which can include the builders, engineers and landscaper. Interior architects are also involved in negotiating contracts for all involved participants. It is for these reasons that it is extremely important for you to have a good relationship with the Kirkland residential architect you hire. He or she can be the tie-breaking vote between you and the general contractor and can be your biggest advocate during the construction process. Different architecture firms in Kirkland, WA provide different services, so the scope of the work can span from pre-design environmental impact studies to selecting furniture and finishes, depending on what your specific needs are. It is very important to hire the right professional for the job. Remember that the most well-known or established designer might not provide the best architectural services for your needs. It all comes down to the individual project. Research and ask people whose work you like for recommendations. It's important to have somewhat of an idea of the style of house architecture that you prefer, as well as the amount you would like to spend. 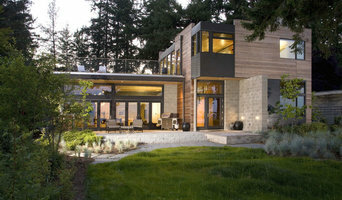 Residential architects in Kirkland, WA are natural problem solvers. They will assess the entire situation and help you to solve your problems too. Don't settle for a single company too early. Call and interview a few. Make sure that you feel like your personalities will mesh well and that you like their professional perspective. 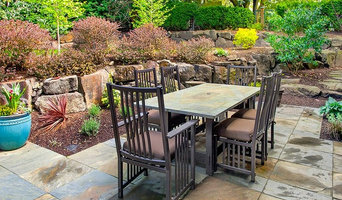 Find a home architect in Kirkland, WA on Houzz. Narrow your search in the Professionals section of the website to Kirkland architects. You may also look through photos of Washington projects to find interior architects and building designers who have worked on a project similar to yours.